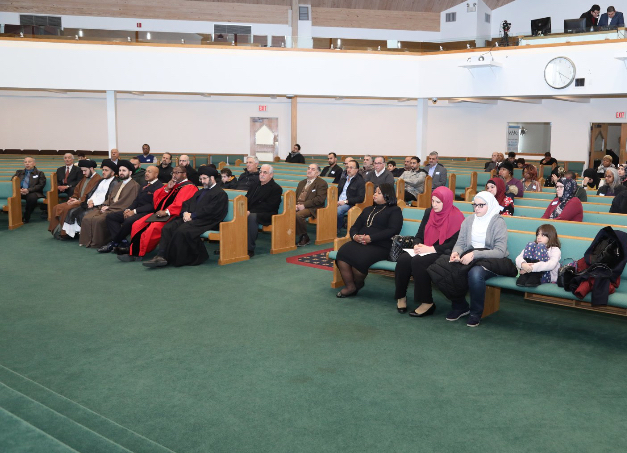 DEARBORN HEIGHTS — On January 27, the Islamic Institute of America (IIA) hosted an interfaith dialogue about “the voice of human justice” as part of a tribute to the work of Dr. Martin Luther King, Jr. and his dream of unity and equality. 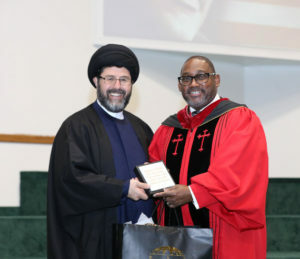 The event, which drew a capacity crowd, had the theme of “One Nation Under God.” It included Quran recitation and speeches given by IIA leader Hassan Al-Qazwini and Rev. Kenneth Flowers, senior pastor at Greater New Mt. Moriah Missionary Baptist Church in Detroit. A civil rights icon himself, Flowers’ message during the MLK tribute event was a call for building stronger bridges between people of different faiths and to unify efforts against inequality and discriminatory policies. Flowers also said Dr. King was not only a civil rights leader, but also unequivocally a baptist and a preacher. “He was a projector of love, a warrior for justice and a fighter for freedom,” he said as he conveyed different connotations of being politically incorrect. Flowers contrasted the two meanings of “politically incorrect” by highlighting President Trump’s insensitive administration on the one hand and describing Dr. King’s decision to stand up against then-Alabama Governor George Wallace and-then Sheriff Jim Clark. He also wasn’t afraid to speak against Presidents Eisenhower or Kennedy. He confronted the United States government itself. King said that a genuine leader is not a searcher for consensus, but a molder for consensus. Flowers denounced Trump’s beliefs and past comments of instituting a Muslim ban. 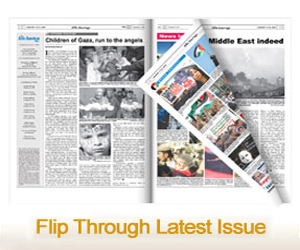 He also denounced the president’s blatant comments about other nations, including many African countries. From the young, who were on the edge of their seats, to the elderly who patiently listened, the entire congregation gave Flowers a standing ovation as he passionately called on them to fight against the governmental injustices faced by immigrants and poor communities.